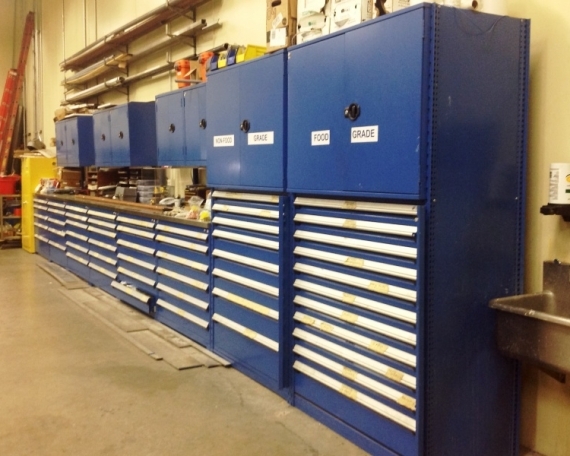 John C. Ernst Company, a distributor of process gauges, valves, switches, and ejectors, was looking to gain more space in its facility while also hoping to consolidate their small parts storage. 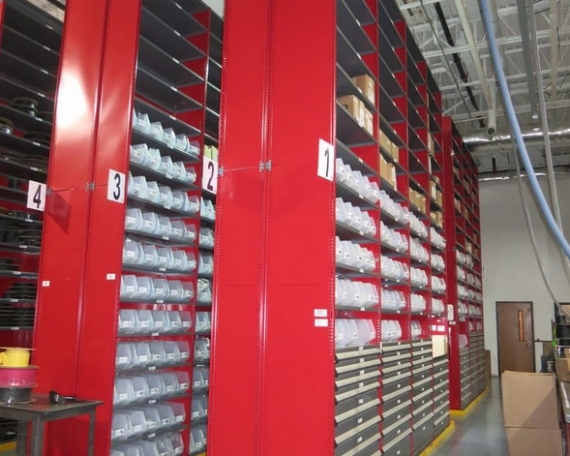 John C. Ernst didn’t have any more ground space to work within their facility so they needed a storage solution that would maximize the unused vertical space of their facility that was available. 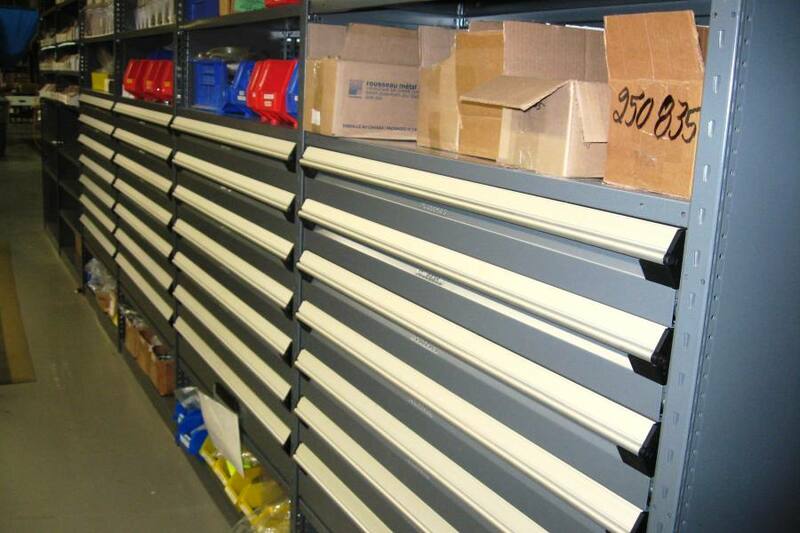 John C. Ernst Company contacted Grace Material Handling to provide a solution that would provide them with more space for storage while also helping them better organize their small parts. 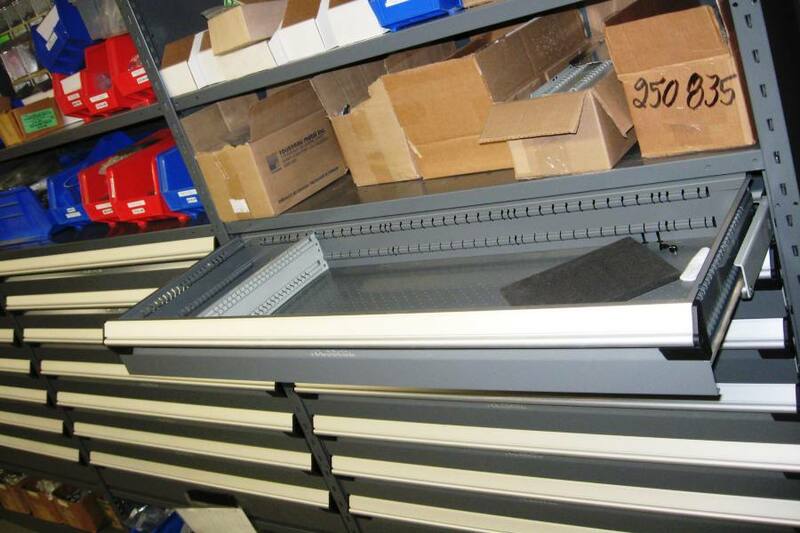 After an initial consultation and site visit, Grace Material Handling designed a storage system that combined a custom steel mezzanine (to create more space) with Rousseau modular cabinets and Rousseau mini-rack (to organize small parts). 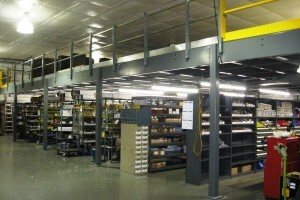 The mezzanine needed to have special column placement in order to work around some obstacles such as existing doors and sprinklers. 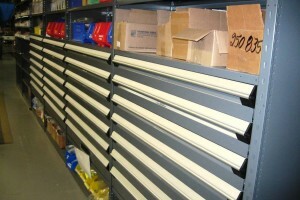 After reviewing the design and quote, John C. Ernst Co. decided to move forward with the project. 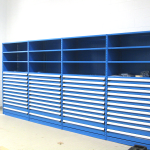 They were happy with how the design would maximize the space of their location. 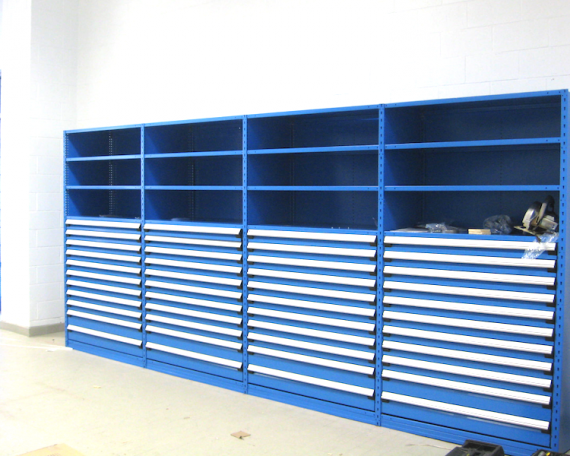 The mezzanine, modular cabinets, and shelving were delivered and installed with a minimal disruption to plant operations. Mr Geoffrey Wolfe, the Plant Manager, says “Grace Material Handling was very competitive with their pricing and the quality of the materials for the mezzanine and shelving were excellent. 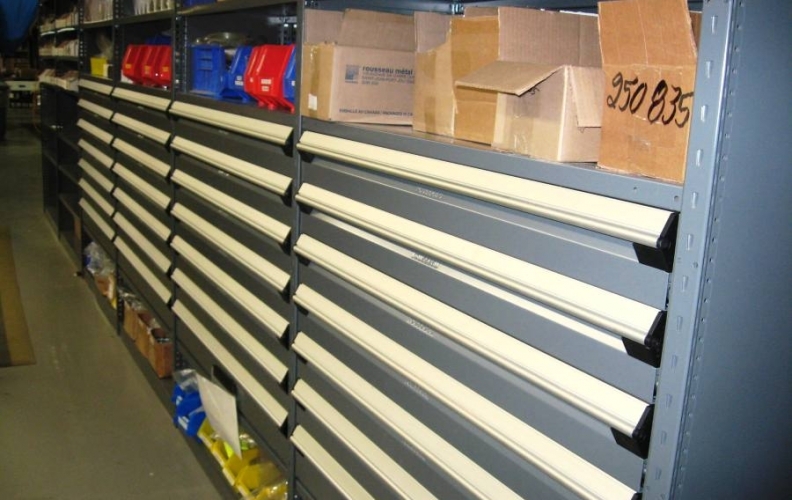 I would strongly recommend them to any company ”. 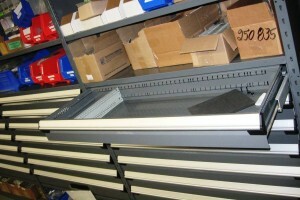 Need a Modular Cabinet Quote? 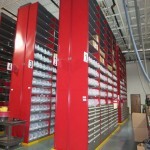 Just fill out our short form and one of our modular cabinet experts will contact you right away.